1. TURN GOOGLE DRIVE INTO YOUR JUKEBOX: Google Drive is a great cloud service to store all our documents, presentations and spreadsheets. It can be also used to create our own virtual jukebox that helps us to stream our songs to wherever we are as long as we have an internet connection. FOR COMPUTERS: To listen to the music we have uploaded to the Drive, we must visit www.drivetunes.org and sign in with our Google account. Allow Drivetunes to access your Google Drive by clicking Accept. The website automatically detects and lists all MP3 and MP4 files, letting you play your tunes from web-enabled computers. FOR SMARTPHONES: apps like CloudBeats Lite or GDrive (for iOS) or CloudAround (for Android devices). 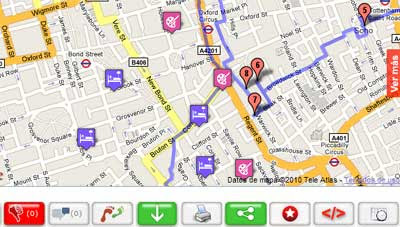 HOW TO CREATE A MAP: sign into GoogleMaps and click My Places > Create Map. Maps Engine Lite will open in a new tab. This can be used to plot our route. There are 4 tools – to select items, add markers, draw lines, and add directions. The map editor also includes a handy undo-redo option. Once we have done the needful inclusions in the map hit the Share button to send it via e-mail, Google+, Facebook or Twitter. 3. 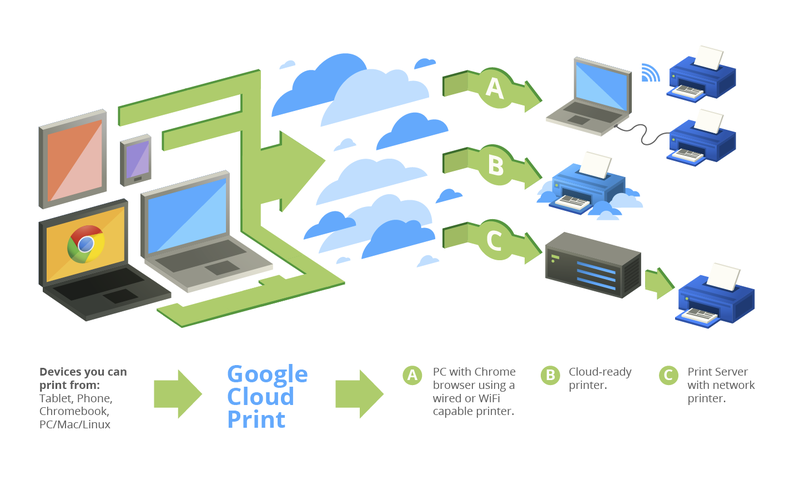 PRINT FROM ANYWHERE: we can use the chrome browser and Google account to send a printout to our home printer from anywhere in the world. TO SET UP ON YOUR HOME COMPUTER: first the printer must be ON. Go to the Chrome browser, and click the menu button and select Settings. Click the Show advanced settings and link. Scroll down the Google Cloud Print section and sign in to enable the service. Select our printer in the list, and click Add Printers, and then we are ready to go. TO PRINT FROM A REMOTE COMPUTER: after ensuring that your printer and the PC connected to are switched ON. Sing into Chrome with your Google account, go to the menu and select the PRINT option, in which select under the Destination option and click on Change. This selects our printer, then hit Print. This is helpful to take prints of the contents in your browser. But if you want to print a .doc file, you will need to open it in a cloud service like Google Drive. 4. MANAGE PHONE CONTACTS: while changing our Smartphone it becomes a great problem to copy all our contacts from one handset to another. Now this procedure is very easy if you follow the following method. Try to store all your contacts in our gmail account by going to your inbox, click the drop-down labeled Gmail, select Contacts, and in one-time effort, manually update phone numbers, e-mail IDs, for all the people in our address book. If the contacts are in vCard format, click on More>Import. Now whenever we switch our handsets to Android, BlackBerry, iOS or Windows Phone all we need to do is add this Google account and set it to sync contacts. And make sure that whenever you add new contacts to our Smartphone that it is synced to your Google account. Log in to YouTube with the GoogleID; click on the account name at the top right-hand corner, and click MY CHANNELS to create one. Click the Upload button at the top of the page. In the privacy drop-down list, select Private and click the Record button under Webcam capture to start recording the show. Once finished stop the recording and click Play to preview. Now Click Publish to finalize the recording. 6. YOU WILL NEVER RUN OUT OF SPACE FOR PHOTOS AND VIDEOS: how much ever space we have seems not enough for the photos and videos we shoot because they occupy mass memory. But the good news is that we can use our Google account to back these up. HOW DO WE DO IT: install Google+ app for the Android or iOS Smartphone, open the apps and click on the Settings icon and enable Auto Backup. But make sure to set the auto-backup to initiate only over a Wi-Fi connection cause using the mobile network might incur extra charges. 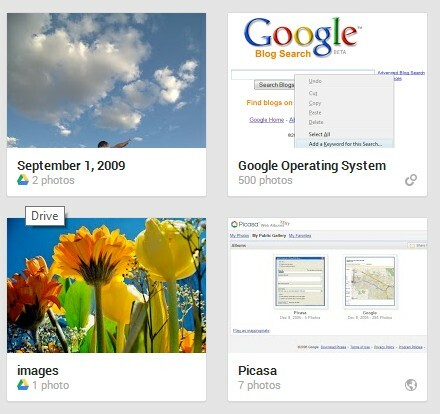 The latest versions of Picasa (v3.9) can also be used. The data stored in this manner will be safe from deletion forever.